Hey Zenbo, say hi to your long-lost brother. As Amazon's Alexa voice assistant becomes smarter each day, it's also showing up in more form factors, with the latest being a small home robot courtesy of, well, a smartwatch brand. 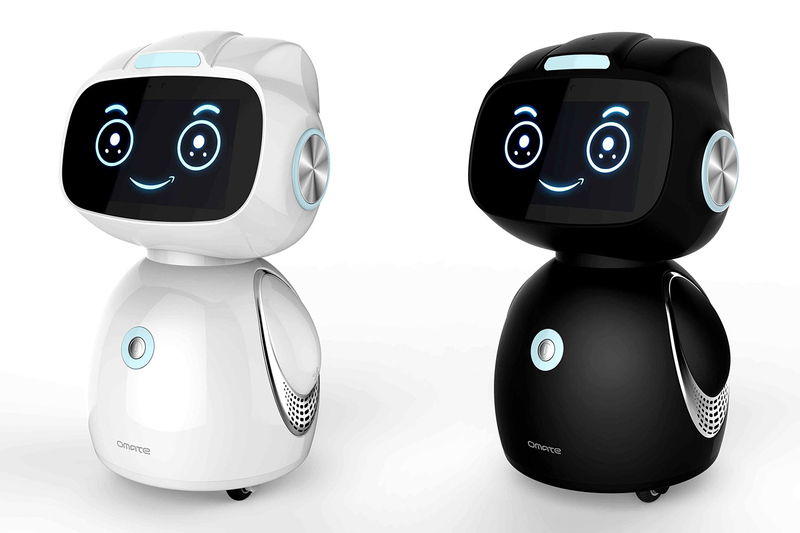 Omate's Yumi is, in many ways, a mini version of the ASUS Zenbo: Its head features a 5-inch 720p touchscreen, it runs on wheels, it's powered by Android and it even shares a similar appearance in white. Much like Omate's Rise 3G smartwatch, the Yumi supports Alexa out of the box, so it's effectively an Echo Dot with wheels plus a cute face -- look closer and you'll see the same smile in Amazon's logo. When you do get bored of that look, just pick another face. With a starting price of $349, the 11.7-inch tall Yumi is bound to miss out on some of the bells and whistles found on the $599 Zenbo. For one, Yumi lacks object avoidance and drop avoidance sensors, so you'll have to be careful when it's placed on the table or countertop. In fact, it's not designed to be as mobile as Zenbo; the wheels are primarily for letting Yumi turn to you when you talk to it. Secondly, while it does have a 5-megapixel "ultra pixel" (2um) front-facing camera for video calls and surveillance usage, the fixed neck means you won't be able to tilt the camera, but it shouldn't be too much of a problem if your Yumi spends most of its time on an elevated surface. With the exception of the supposedly "crystal clear" stereo speakers, the 5-mic array and the 37.2Wh battery (battery life yet to be determined), the rest of the robot is essentially the equivalent of a budget smartphone. It has a 1.3GHz quad-core Cortex-A53 processor, 1GB of LPDDR3 RAM, 8GB of onboard storage, dual-band WiFi, Bluetooth 4.0, an HDMI port and a micro-USB port (with OTG support). With most of Alexa's work done in the cloud, you'll just have to worry about making sure you have good Internet connection at home. Yumi will be offered in black and white versions on Indiegogo on November 15th, and it's estimated to ship in March 2017. For now, you can head over to Omate's website to sign up for the early bird discount. But if you want a more serious home robot that won't fall down the stairs, you may want to hang on until ASUS is ready with its Zenbo -- hopefully before the holidays.